One of the best parts of the Arrow Comic-Con experience each year is the chance for fans to meet members of the cast to share some words and more than a few laughs. You can also have the cast sign some swag and snag a few photos. This year, almost all of the regular cast for Season 6 turned out for the panel and the signing. 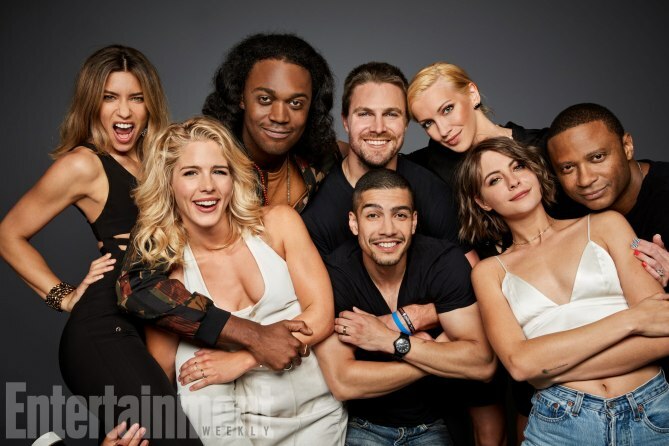 Stephen Amell, David Ramsey, Emily Bett Rickards, Katie Cassidy, Willa Holland, Echo Kellum, Rick Gonzalez, and Juliana Harkavy were all on hand. Paul Blackthorne couldn’t attend this year due to some family matters but sent well wishes. The cast was joined by showrunners Marc Guggenheim and Wendy Mericle. Check out some images from the signing below. We’ll be adding more as they come in.